Could Serrapeptase Help You To Look Younger Than Your Years? Home > Anti-Aging > Could Serrapeptase Help You To Look Younger Than Your Years? Aging is a natural biological function of the human body and an inevitable part of life. Yet what many people do not realise is that premature aging is not. Visible signs of aging or looking older before your time can all be slowed down so that you stay looking youthful for longer. Serrapeptase may have a powerful effect in helping you to look younger in the long term. It does this by clearing inflammation and dead scar tissue in the body, therefore allowing the body to naturally begin the healing process. 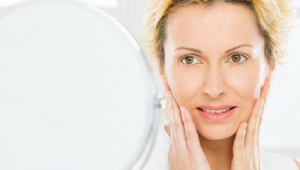 There are various factors that can contribute to the aging process. One of the main ones is partaking in unhealthy habits and stressful living which when combined, can lead to a compromised immune system. This can eventually start to show in your overall appearance. It also shows on how old the skin looks on both the face and the body in the long term. Preventing this process is possible by preventing fibrous tissue build-up. Any illnesses associated with old age can also be avoided and this includes thickening of the blood, chronic inflammation and the prevention of a weakened immune system. 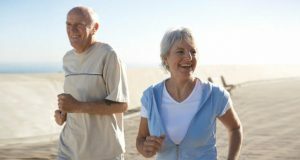 Serrapeptase can help to provide effective anti-aging support against a wide range of health conditions. It does this by attacking dead and damaged tissue throughout the body, allowing for its safe elimination via the liver or kidneys. 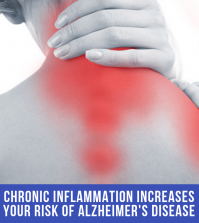 Once the body is free from inflammation, the body can naturally begin on healing itself. A poor diet requires the right nutrients and enzymes to support a healthy immune system and optimal digestive function. When you add Serrapeptase to your daily diet regime, this can support your body’s immune system and fight inflammation at the same time. This is a great recipe for staying youthful – from the inside out. One of the best ways to stay looking youthful is to follow a healthy and a happy attitude to life. This means staying active and young in both mind and spirit. 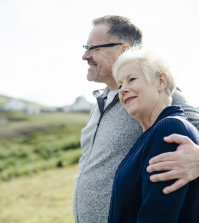 Learning to enjoy the aging process and following an engaged lifestyle means you are more likely to have a slower decline in physical or cognitive function as you age and this research is even supported by a study. Avoiding starchy carbohydrates including ALL grains – found in bread, pasta, cereal, processed foods etc is recommended. Consider alternatives such as buckwheat, coconut or almond flour to make some of your favourite recipes instead – simply replace the grains. Avoiding sugar is an absolute necessity as this plays havoc with blood sugar levels that can increase glycation and promote inflammation in the body. Sugar attaches to proteins to form harmful new molecules known as Advanced Glycation End Products (AGEs) that can cause skin to dull and wrinkle. The more sugar eaten, the more AGEs you develop and this plays havoc with collagen levels too – the protein structures within the skin that keeps you looking youthful. Choosing to eat more dark leafy green vegetables, berries and dark skinned fruits, nuts and seeds, legumes and wild fish such as salmon is recommended. Stay hydrated by drinking 6-8 glasses a day of filtered water with a pinch of bicarbonate of soda. The HealthPoint™ Acupressure device can transform the skin you’re in, providing a restorative beauty technique that naturally supports the skin’s self-healing abilities. 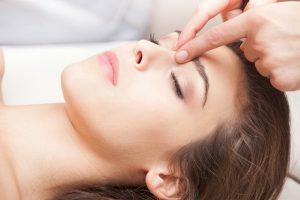 By using Microcurrent stimulation on a regular basis, it’s possible to renew tired and wrinkled skin, giving you a rejuvenating Facelift in the process. You don’t have to worry about looking older than your years – taking daily action on your diet, lifestyle choices and maintaining a positive attitude can all work wonders on improving your energy and vitality, and this all helps towards creating a youthful appearance. The key is to enjoy the process and enjoy every step of the journey. 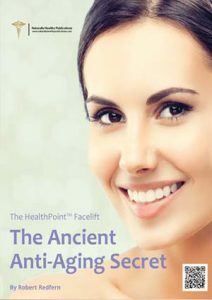 The HealthPoint™ Facelift ‘Ancient Anti-Aging Secret’ by Robert Redfern – Find out the amazing health benefits of using the HealthPoint™ device to give yourself a natural face lift – without the need for expensive fillers or cosmetic procedures. 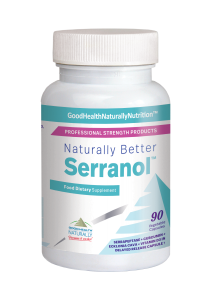 Serranol™ – Serranol is a combination formula containing Serrapeptase 80,000IU, Curcuminx4000™, Ecklonia Cava extract and Vitamin D3. 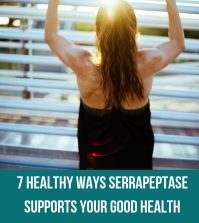 This potent Serrapeptase formula can help to provide powerful anti-inflammatory relief and support for the anti-aging process when used as part of a healthy lifestyle. Available from Good Health Naturally. 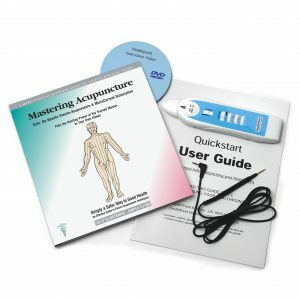 HealthPoint™ – This electro-acupressure kit uses Microcurrent stimulation to accurately pinpoint the acupressure points on the face and body. Once these are effectively located and stimulated, it encourages blood circulation to flow freely around each energy center, providing relief. Ideal for use as a natural facelift in your anti-aging routine. Comes with a fully illustrated user manual and Quickstart guide. Available from Good Health Naturally. 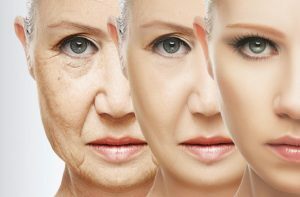 Home > Anti-Aging > ¿Serrapeptase Podría Ayudar A Que Te Veas Más Joven? ¿Serrapeptase Podría Ayudar A Que Te Veas Más Joven? El envejecimiento es una función biológica natural del cuerpo humano y una parte inevitable de la vida. Sin embargo, muchas personas no se dan cuenta de que el envejecimiento prematuro no lo es. Los signos visibles de envejecimiento o de más edad pueden reducirse para que permanezcas joven por más tiempo.